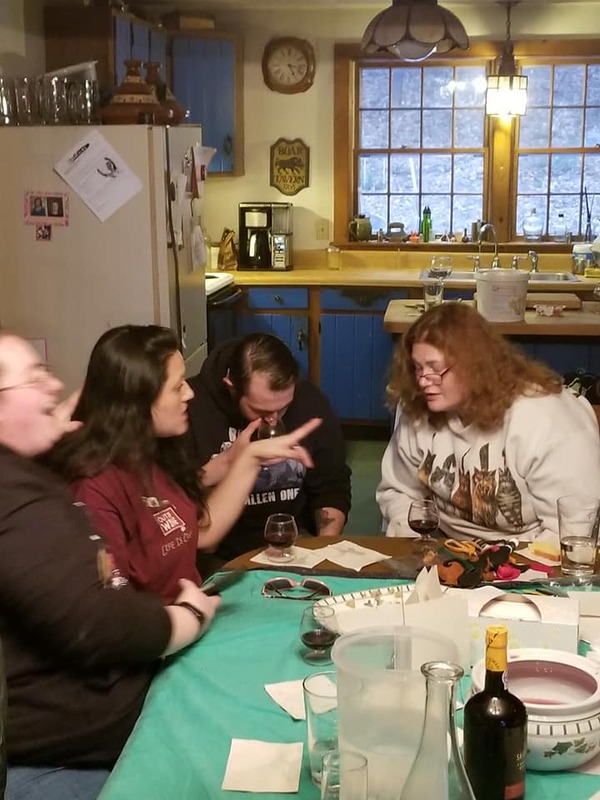 One of my favorite things to do as the Northern Region Warden for the East Kingdom Brewer’s Guilde, is to educate others in alcohol. This doesn’t mean get everyone rip roaring drunk. It’s to help brewers become better brewers by knowing what to look for in a beverage and be adept enough at recreating the same flavors over and over for a consistency of quality. Some of these beverages we make are dodgy at best. They have to be drunk in a short period of time due to the fact they don’t have the preservative qualities you see in todays beers and wines. I think one of the hardest things to do in this process is have the ability to “taste” something and come to a conclusion without inserting your own personal opinions on how the beverage tastes. It’s more about meeting criteria vs what gets me tipsy and tastes good. 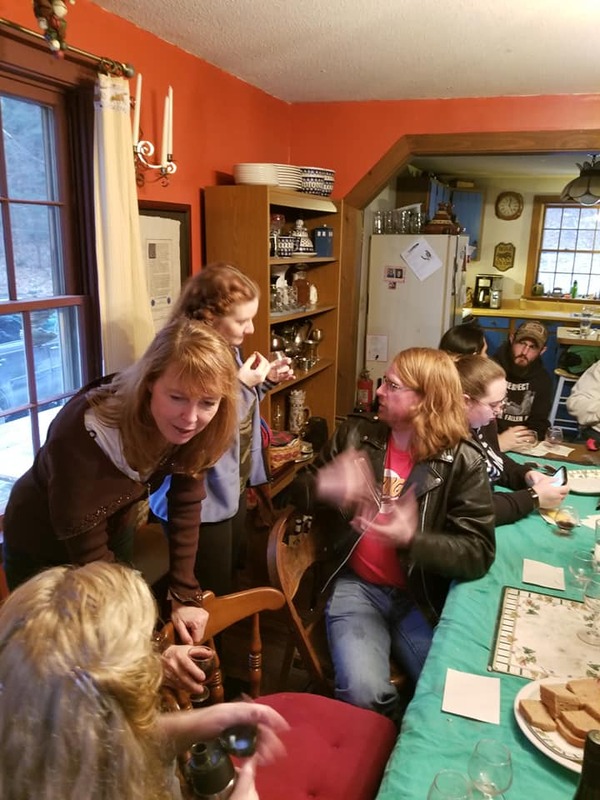 I recently had a tasting at the Inn for folks to learn about drinking. It’s very easy, bring a bottle of wine. More than 3 Buck Chuck but don’t mortgage your house for a bottle either. 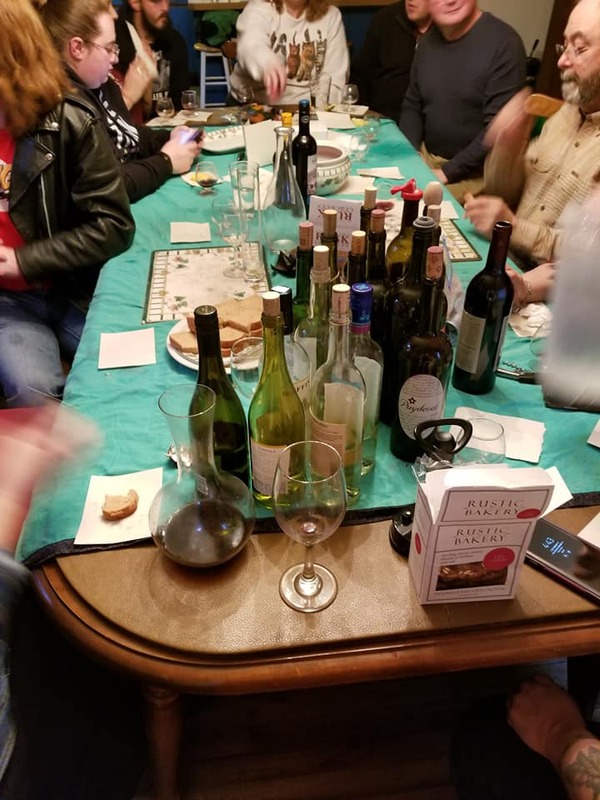 We had a variety of wines ranging from French, Italian, California and other places. We were able to do a Horizontal Flight (variety of wines) and also a Vertical Flight (multiple vintages from one vineyard). 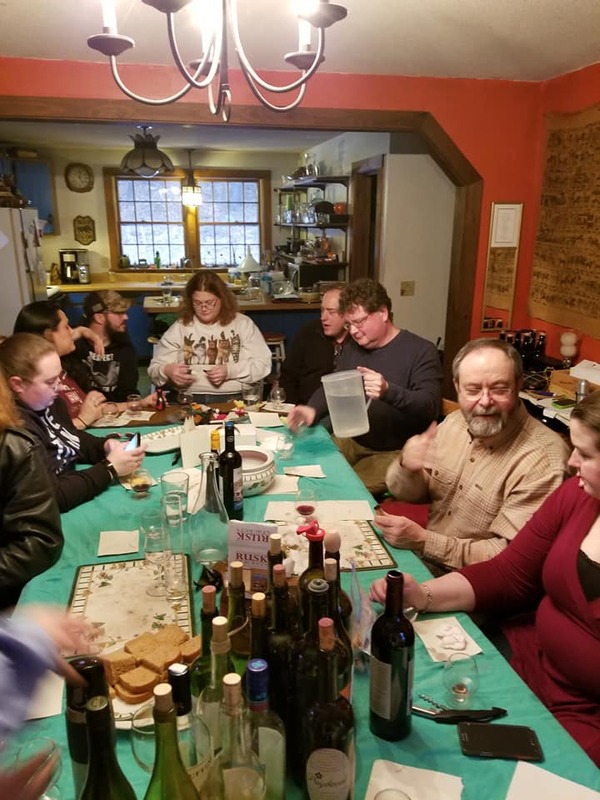 I spoke about my experiences with wine previously and how I was influenced by Father Scrumhali, Baron Toddington, Uncle Thud, Isabella of York, my Laurel Suzanne Delondres and a variety of other folks who taught me about tasting. We compared flavors of different vineyard Chardonnays, Pinot Grigio and a couple of Table Reds. 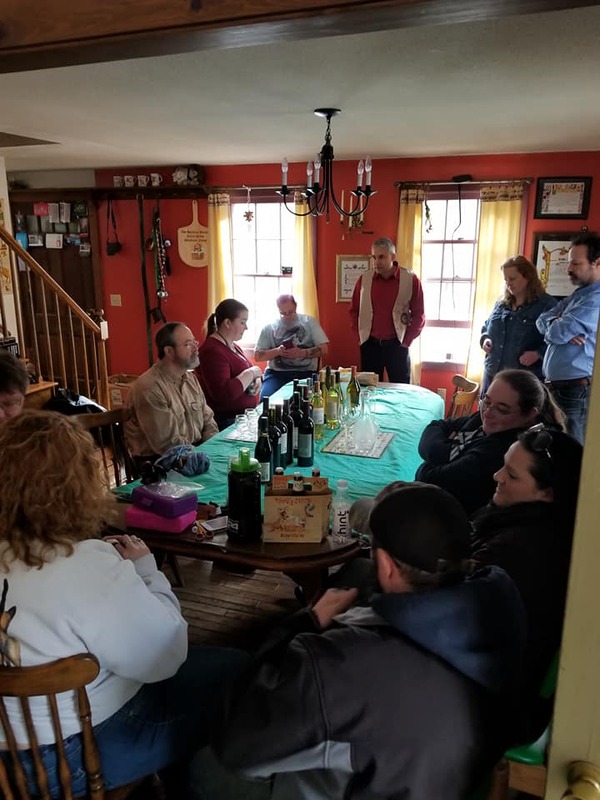 We discussed how wines are sometimes named after the grapes they are made with and the aspects of how you can get a white and red wine from the same grape merely by exposing them to the skins and stems. We had an orange wine that was merely a white wine exposed to the skins which gave it an orange tint. 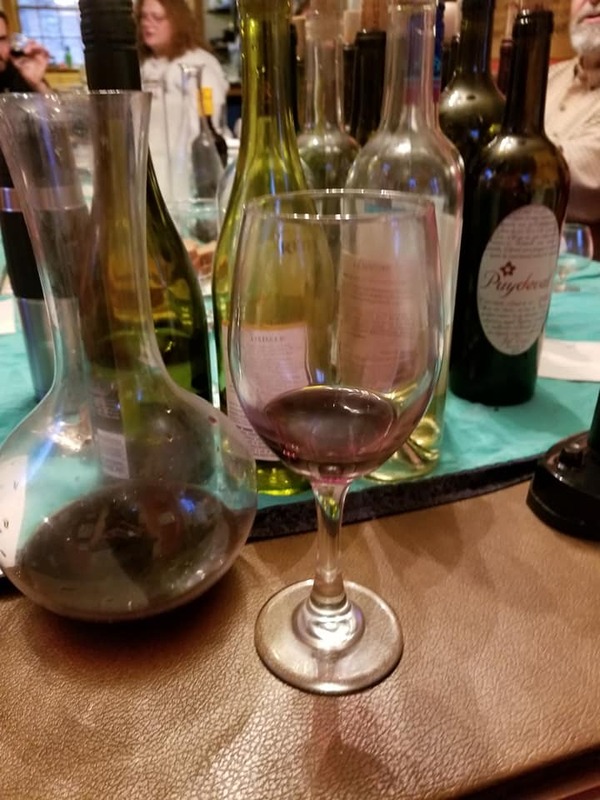 One of the nicest aspects was that one of our attendees (the lady of a friend of mine) was very much into wine and she was able to help us do a vertical flight of 3 years from one vineyard. The attendees got a chance to see how wines can differ even though they are made from the same grapes year to year. Too much sun, not enough, too much water, not enough, soil treatment, etc, all play into the flavors and alcohol production. I also played a trick on the attendees by bringing 2 bottles of Bordeaux that was both Red and White and asking them how this could happen. They jumped on the grape skin exposure but they learned that sometimes wines are categorized by region vs grape type. I only wish we had a German wine pair red/white that we could have shown them that wines also can be named by household vs region or grape type. Another times perhaps. 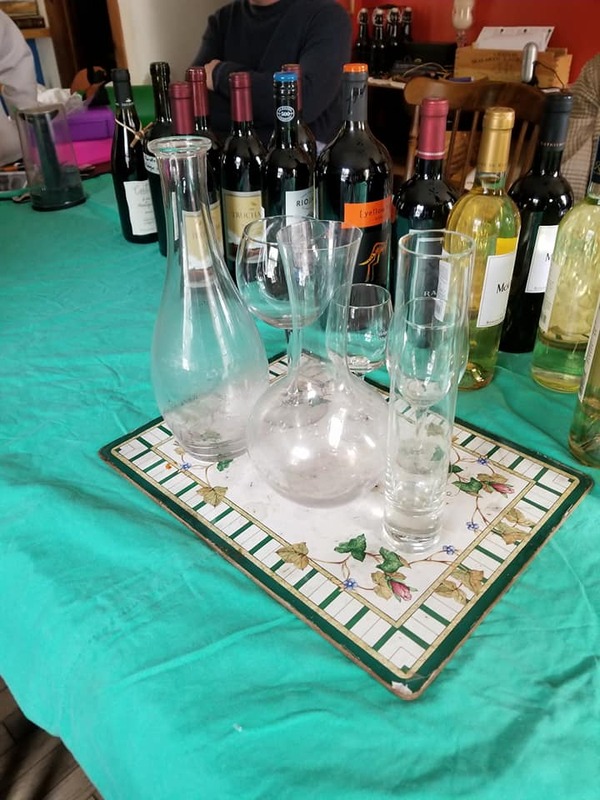 Along the way we had various questions about the wines and we did the traditional dry to sweet of whites followed by the dry to sweet of reds, ending in a Port Wine which wrapped up the dessert/fortified wine discussions. It was a great time and at the end, when everyone was finished, we had a little buzz on but no one was drunk. I had some books to discuss but had forgotten to put them on the table before the discussion started. Maybe next time. The event was well attended, with a showing of about 20 folks. A good crowd and hopefully we’ll be doing a whole grain brewing class in April and get some folks into that as well. It was an excellent educational and social experience! Thank you for the instruction and the hosting of the wine-tasting. 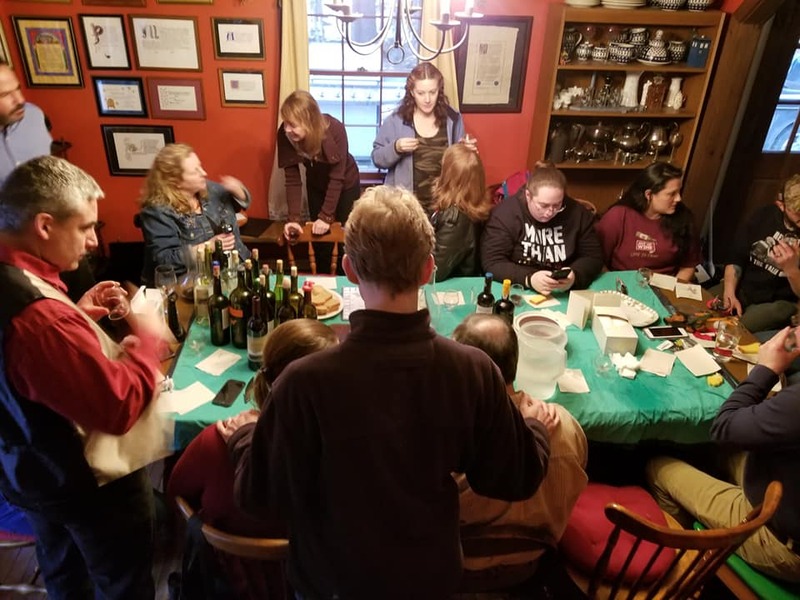 I know we, the students, became a little “loud” with all the enthusiasm, but it was on account of having such a perfect mid-winter gathering and really great folks to learn from and discuss the wine!